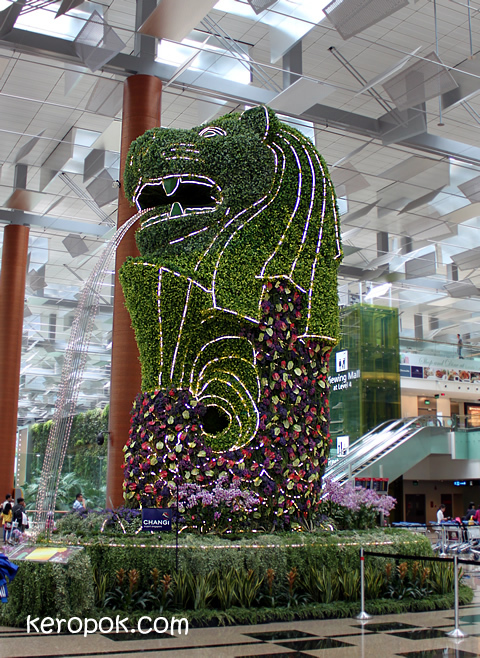 This is probably Singapore's Greenest Merlion. Also the only one decorated with plants and flowers. Located at Changi Airport Terminal 3.